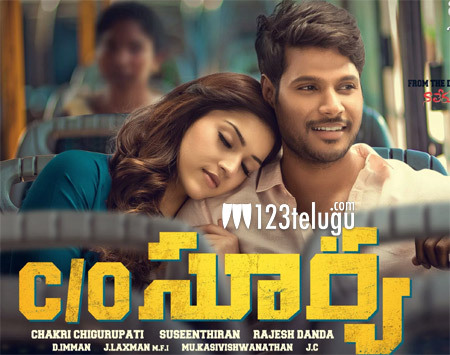 Sundeep Kishan’s just released thriller, Care of Surya, is registering decent collections in overseas and the twin Telugu states over the weekend. In the US, Care of Surya grossed $49,566 from premieres and Friday shows at 56 locations. This is the best opener in Sundeep’s career. Care of Surya’s story is on the lines of the film’s director Suseenthiran’s Karthi-starrer hit thriller, Naa Peru Siva. The film has Mehreen as its female lead. Sundeep’s performance and the thrilling drama are the main positives in the movie.